Is $8500 a Good Price? 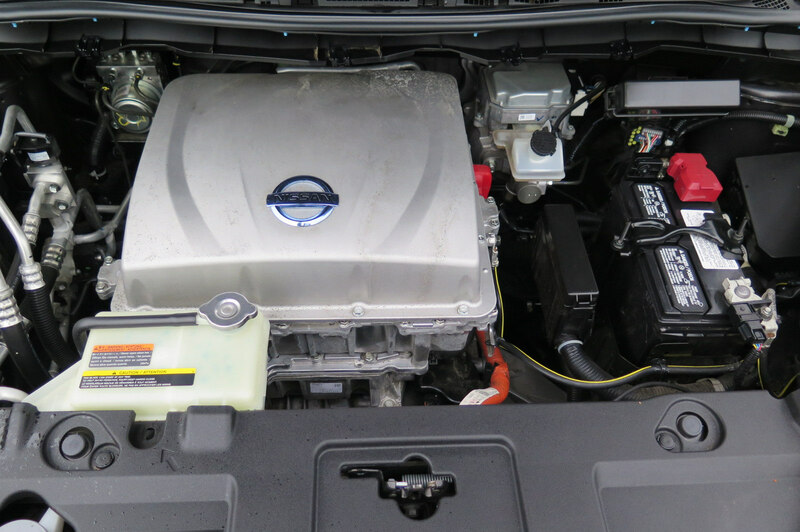 2013 Leaf S with over 56,000 miles selling as certified pre-owned at a Nissan dealership and listed at $8500. Re: Is $8500 a Good Price? What kind of certification is that? CPO requires the car have at least 9 bars per http://nissannews.com/en-US/nissan/usa/ ... es-program. Is it a S w/charge package (and thus 6.6 kW OBC and CHAdeMO inlet, the one on the left) or just a base S w/3.x kW OBC and no CHAdeMO? It's a good deal only if it qualifies for a free new pack. Check the in-service date, as I'm sure this car was built before April of 2013. It's Nissan certified pre-owned with 7 year 100K warranty with towing and roadside assistance. So, shouldn't get a new battery under warranty? These are the listed features. Here is another picture of the interior. I thought the S model didn't have cruise control. It has cloth seats, so I know it isn't an SL. Last edited by leaftryer on Fri Jun 30, 2017 4:43 pm, edited 1 time in total. LeftieBiker wrote: It's a good deal only if it qualifies for a free new pack. Check the in-service date, as I'm sure this car was built before April of 2013. 2013 to 2017 is only 4 years. Isn't the capacity warranty 5 years? Sorry, I garbled that. Make sure that there is no reason it doesn't qualify. You can call Nissan with the VIN. I don't think that the 2013 Leaf drivers could opt out of the Klee settlement (although I do seem to recall getting a letter about that), but there may be other factors involved. If the dealer is selling it as CPO, don't they need to replace the battery under the CPO warranty regardless since CPO requires 9+ bars? I'm pretty sure this is actually an SV even though it isn't marked as an SV on the dealer website. I searched the VIN on CarMax and it says it was first sold in late March 2013 and was a lease vehicle and then put on sale again as used at the dealer late March 2017. 4 year lease and has been on sale at the dealer at least 3 months. I didn't know they had 4 year leases on these cars. I found a picture on the engine compartment. Since there is only 1 orange cable, I think that means no QC port. That makes me less interested in the car since I was hoping to be able to use the car for very occasional trips out of it's single charge range and without QC, that's not practical at all. I'd need to rent a car every time I want to drive more than 30-40 miles away from home so that I'll always be able to make the round trip without stopping to use a slow Level 2 charger. For a cheap enough price plus a new battery installed under warranty to give it 80+ mile range, I could still get it as a city car for commuting and short distance local errands and just pay for a few yearly car rentals when I need to leave the local metro area. No QC will also reduce the value when I eventually want to sell it 3-4 years later with a 24Kwh battery with another 3-4 years of degradation and new EVs are all offering 200+ miles range. In 3-4 years there will be off-lease Bolts and Model 3s being resold making that kind range expected even on used EVs. So, I definitely don't want to overpay for something that will look so obsolete at the next resale time.